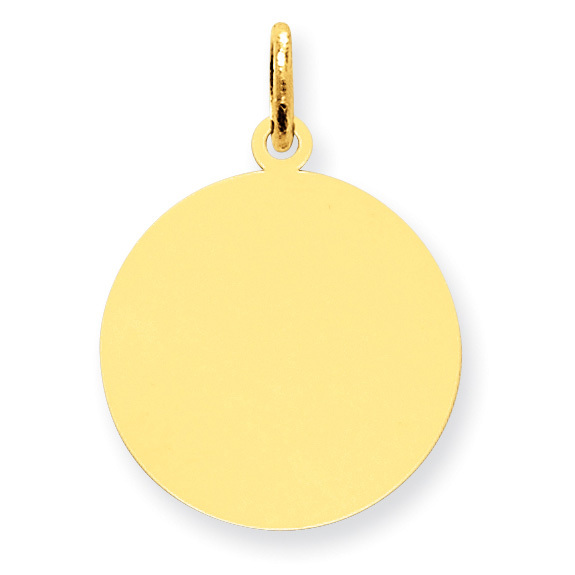 Our 14k solid gold engraveable disc charm pendant measures 11/16" in diameter 13/16" tall with hoop/bale. Perfect to wear as a necklace or as a charm. Can be engraved on front or book (up to 3 lines per side). Engraving adds an additional 3-4 business days to shipping time. Also available in various sizes, shown below. We guarantee our 14K Gold Engraveable Disc Charm Pendant to be high quality, authentic jewelry, as described above.